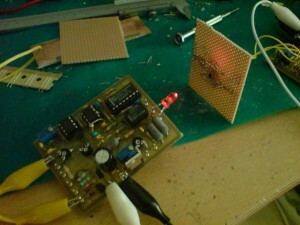 I assembled the PCB´s for the DL2CH laser transceiver and did some basic tests using a ordinary LED as signal source. The lens is a 90mm one and the sensor is a OPT-101. The first picture shows the transmitter and the optical sensor head. 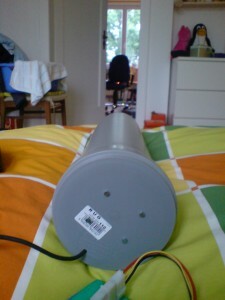 The second picture shows the grey tube that contains the lens and the optical sensor. In the background you can see the small red light that comes from the LED. 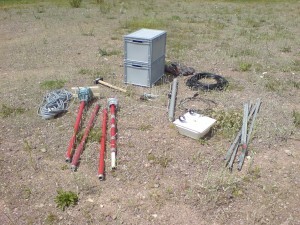 Today there was another DUR activity contest and i used it to test some equipment. Because the OK/OM activity is in parallel i tried to setup my 2m Tonna yagi. Surprisingly this was a easy job. The only problem was that asseble the antenna took much longer than expected. 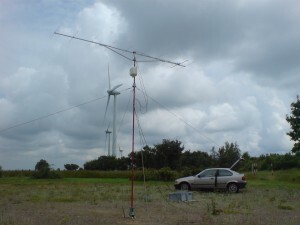 The activity on 23cm in the DUR test was low. I had 5 qso only. But i did some qso on 2m as well. ODX was a 9A station. I also heard a french station and some german’s calling a EA station. Maybe some sporadic E ? I did not hear anything from Spain. For 23cm i have to build a bigger antenne until the next test. The single hybrid quad element is only good for some local qso. 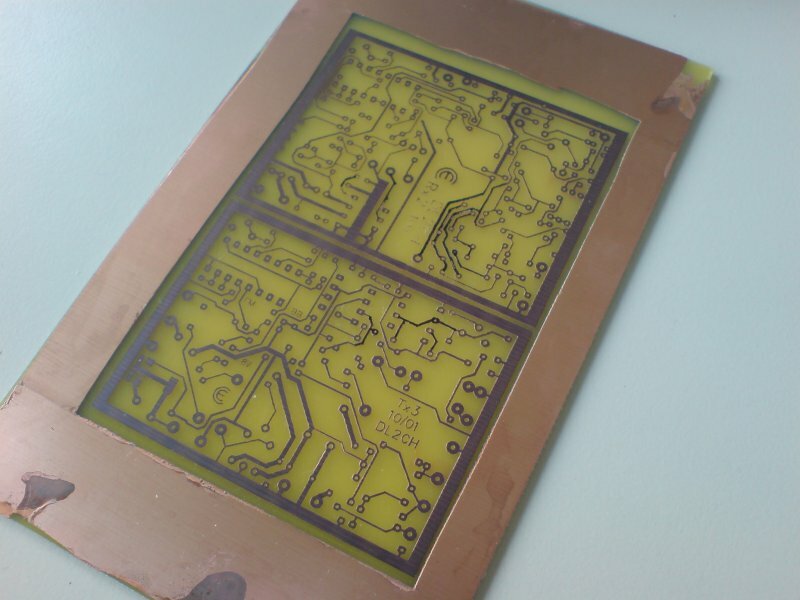 After long time thinking about it i started to build up my laser station i edged the PCB´s today. The parts are on the way from the distributor. The diodes are already available here (2x 10mW, red). I also buyed some lenses in the past week. The biggest problem seems to be the mechanical fixture for fine adjustment of the direction of the 3 different optical axes.